My husband loves scented candles. That might sound weird, especially since he’s a really masculine dude, but he likes to burn candles in our office. I have to assume its because now that he’s married, he thinks people won’t think he’s weird for burning scented candles. It’s ok though, you won’t tell him I told his little secret, right? Scented candles are great, but they can get expensive, especially for the larger ones. And when you burn them, often times there’s SO much wax left behind. 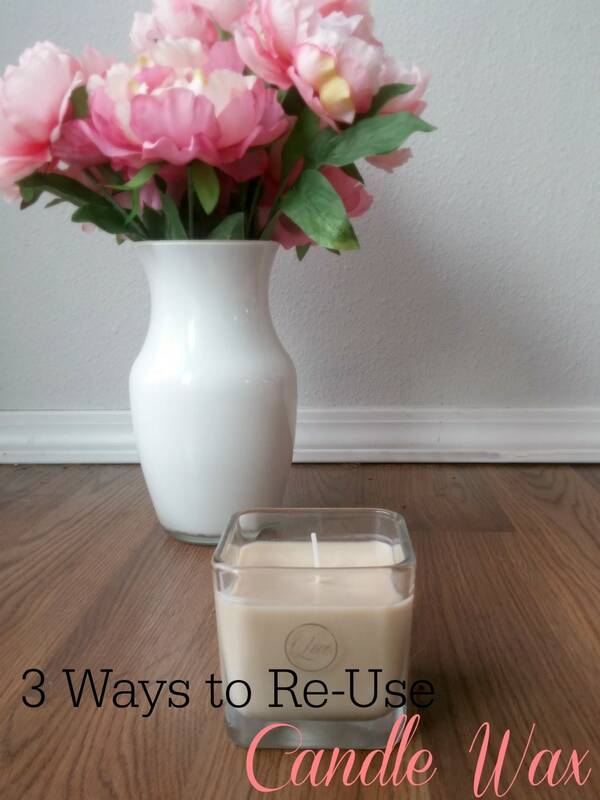 I wanted to find a way to use up the wax from our scented candles, so I came up with 3 ways we can reuse the candles and turn them into something awesome. 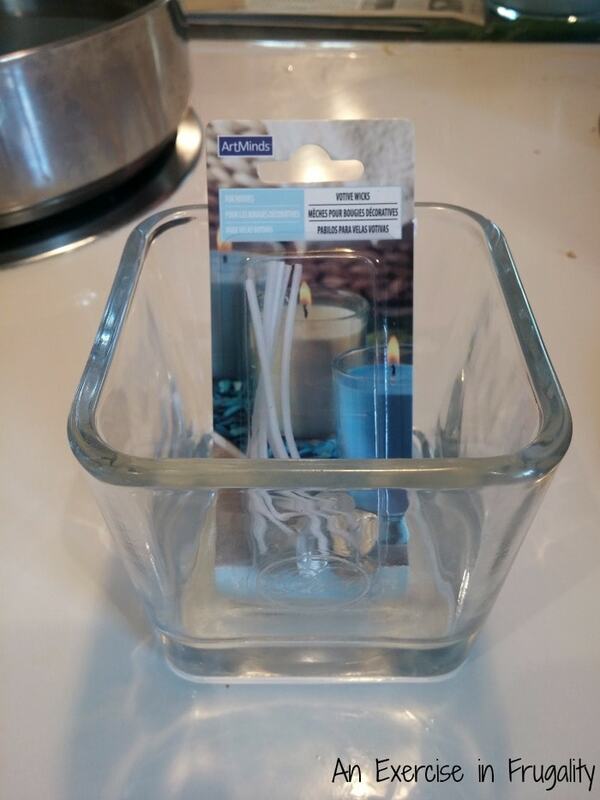 If you have a wax warmer, you can melt down the leftover bits of candle wax and pour them into the warmer or make a mold. The wax is gently warmed and the scent is released. 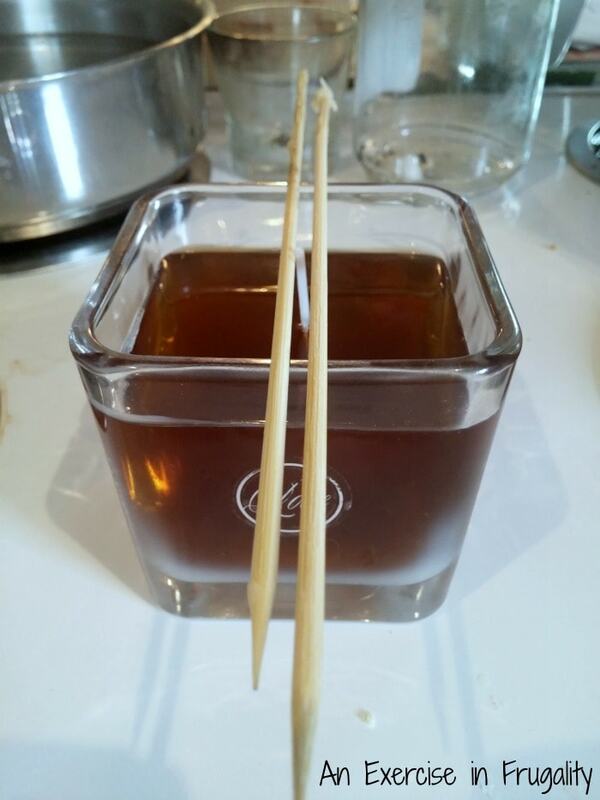 This is a great way to use up the remaining wax without a lot of fuss. 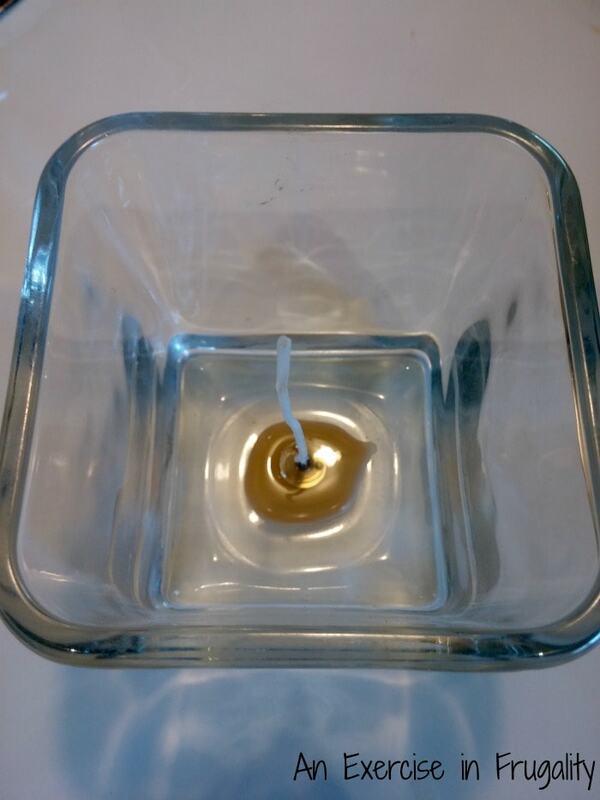 If you have enough wax you can make a new candle using candle wicks available for just a few dollars at most craft supply stores. 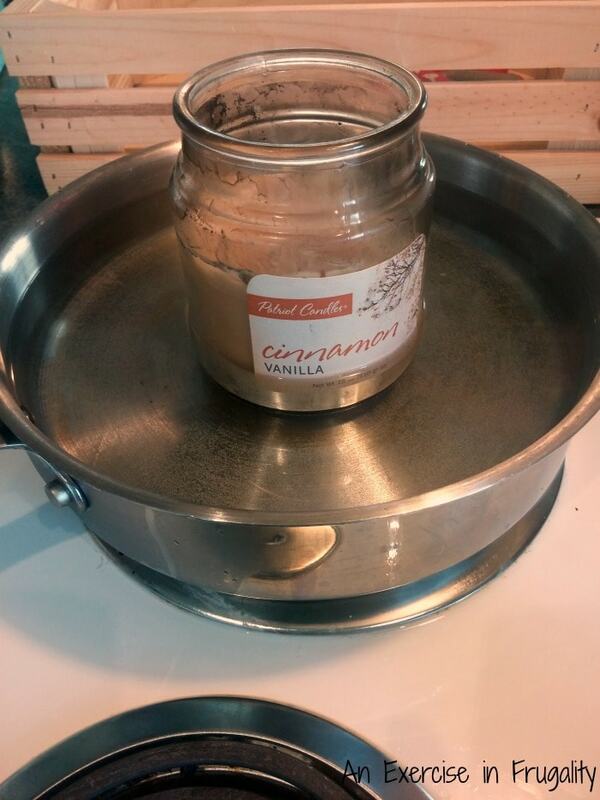 You can also take several candles of the same scent (I used Cinnamon Vanilla and plain Vanilla for this candle) and mix to create enough wax to fill the candle jar. 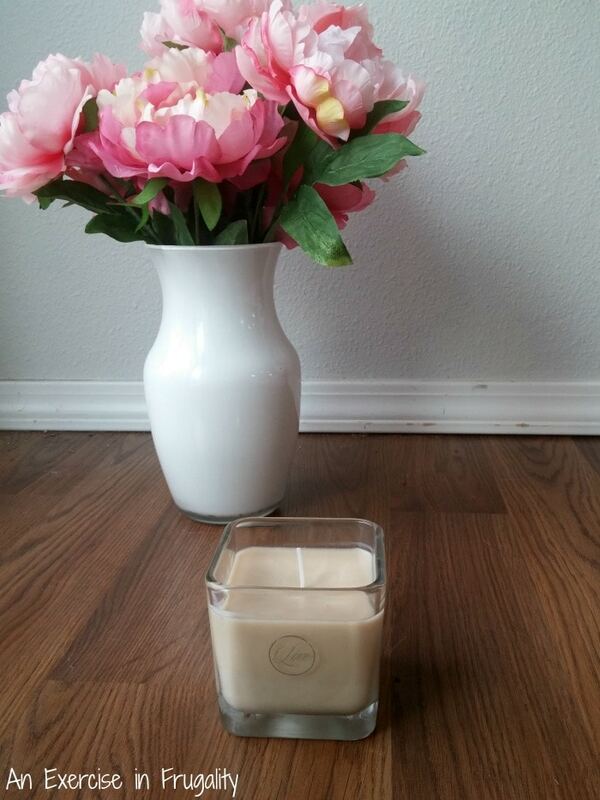 If you have several candles with complementary scents, you can layer them into one new candle! We tend to choose scents that are similar or that go together, like vanilla and fruity scents, or vanilla and peppermint for example. You can put the wick into the jar and melt down each candle, layering the different waxes for a fun new scent. To melt down the old candle(s) you’ll need a hot water bath. My pot wasn’t deep enough, but it was the only one not in the dishwasher at the time. Make sure you use protective goggles, just in case the jar bursts. It should be able to withstand the heat of the water, being that it holds a burning candle, but you never know…so safety first! Also, use potholders when removing the hot glass jar from the water. This should be obvious, but I am just putting it out there as a reminder…just in case. 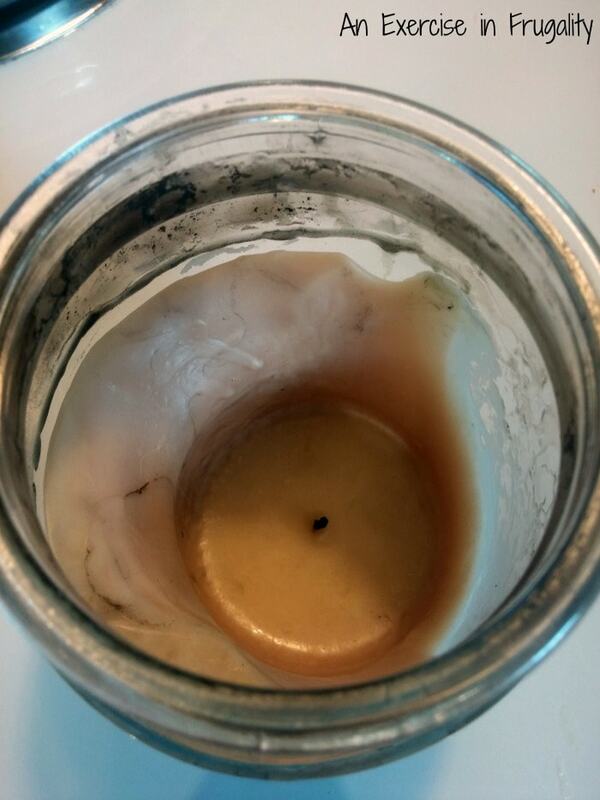 When the wax is completely melted, take a drop out and put it in the center of the new jar. Use this to “stick” your wick to the jar. Pour the melted wax carefully into the new jar, and use pencils or skewers to hold your wick centered and straight until the candle hardens. Let your candle cool completely before handling. If you’re attempting to layer different scents, you will want each layer to cool before adding the next to prevent them from mixing. That’s it! It’s really quite simple, and since jarred candles can be pricey, you’re making sure you get the most for your money. So that’s it, in total the process took 10-15 minutes to melt and another minute or two to pour and center the wick. Older kids can help with this project too since its simple. Just be careful around the hot wax. 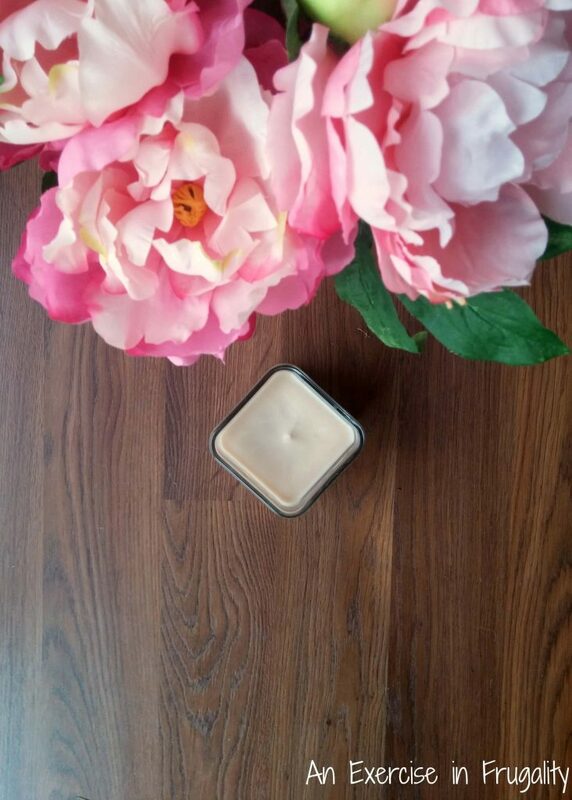 What’s your favorite way to re-use candle wax?